Sam, the little robot, has stranded on an uninhabited planet. Help him to recalibrate his spaceship, so he can go home. To do so, catch the correct numbers and solve the equations. 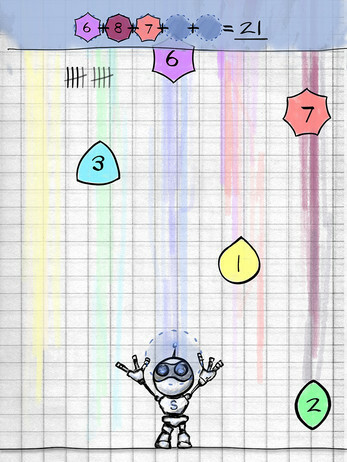 Sam the Sumbot is a demanding mathematical game, which stands out with its unique hand-drawn style. The game does not only test your mathematical skills but also challenges your reflexes. How good are you when you have to calculate and manoeuvre at the same time? Not only sums, but also subtraction, multiplication and fractions are being tested throughout the different stages, making each a different challenge. 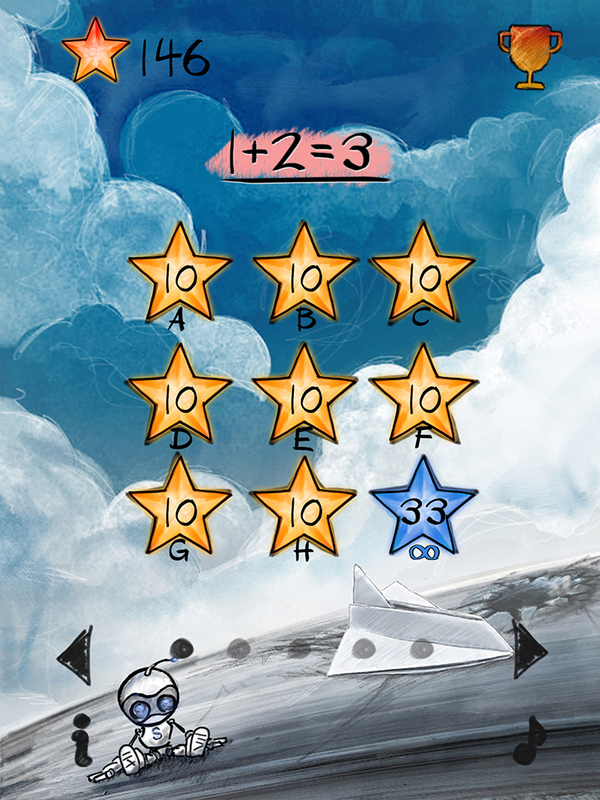 Are you a pro in multiplication but have difficulties in adding fractions? Improve yourself in the fraction stage! - 5 Stages: Addition, Subtraction, Multiplication, Fraction and Mixed. 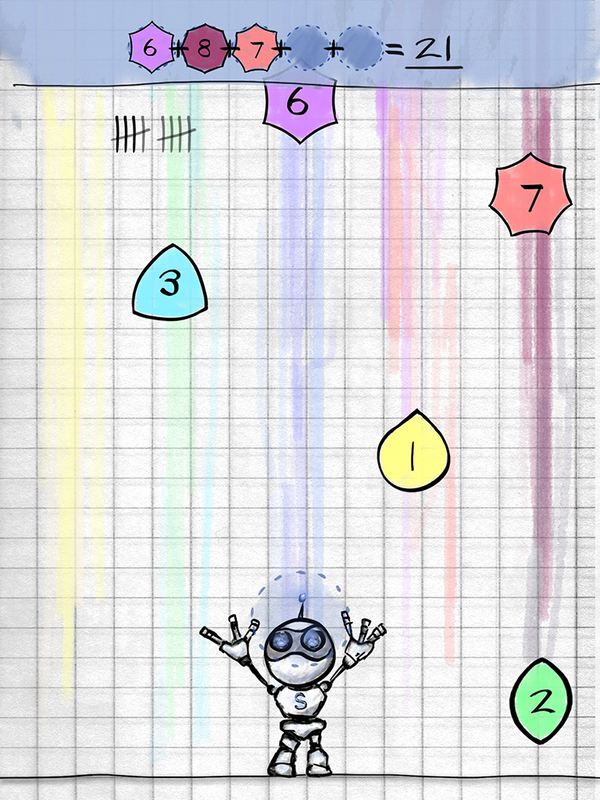 - 9 Levels each stage, giving a total of (can you calculate it?) 45 different levels. - Infinity mode for each stage. - Leaderboard to compete with your friends or conquer the world. - 17 Achievements to unlock including 4 hidden secrets. Can you find and catch the mexican sombrero?